When thinking of the world’s poorest countries you may think of Haiti or Bangladesh but you would be wrong. The truth is that all of the world’s 10 poorest countries are located in just one continent: Africa. Here is the list of which are considered to be the world’s poorest countries today. Congo is now considered to be the poorest country in the world. Ravaged by wars and corruption after WW11, finally the shortage of oil in the 1990’s saw the last hope of any economy of worth in this country. Formerly known as Zaire, it receives almost no visitors and id also considered as being one of the world’s most dangerous countries. Zimbabwe comes in second place in the poorest countries list. Although it too has been ravaged by wars, corruption is this countries biggest enemy. It does possess natural resources but because the corruption is so high, no foreign investors will finance the mining. Liberia comes in third place. The unemployment rate here mirrors the poverty level at 85%. Economic mismanagement finally erupted in to civil war in 1989, a war that has left the country deficient in both school and health facilities. Niger, whose official language is French, is forth on the list. Its dessert terrain and complete lack of infrastructure does not help this countries position. Probably the main reason for its poverty though, is its unstable political leadership. Discrimination of sexes makes this a particularly hard place for women to live. Burundi is a landlocked country, which does not help its economy. Here one in fifteen people suffer from AIDS or HIV and most children suffer from malnutrition. A weak legal system, bad economic management, corruption and civil war, all contribute to this countries position. 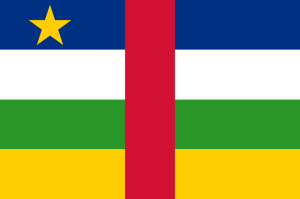 Central African Republic comes in 6th on our list. Although the economy of this country is based on agriculture, poor management and dishonesty means that it is reliant on foreign imports. The country is also rife with diseases such as AIDS, yet has poor health facilities. 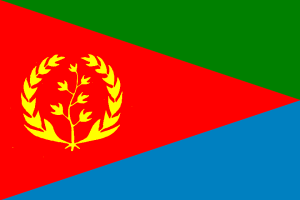 Eritrea is 7th on the list and is once again reliant on agriculture. 80% of the country is involved in farming or livestock. Although currently still at 7th, it is already going through major restructuring in many areas, such as education. Sierra Leone is perhaps as high as eighth on the list because it has a gold and diamond industry but unemployment in the country is high. Almost 50% of the populace does not have access to hygienic drinking water. Malawi as well as being one of the poorest nations is also listed as being one of the most dangerous. This country is also considered to have one of the poorest development records. A poor communications system is thought to be one of the reasons for Malawi’s poor economy. Togo is the last on our list of 10 poorest countries. Its economic problems stem from an unstable political system and civil wars imposed on it by neighboring countries.